Eva & Joseph Bruening viewed the children of Cleveland as their legacy. They believed they had a responsibility to care for those in need. 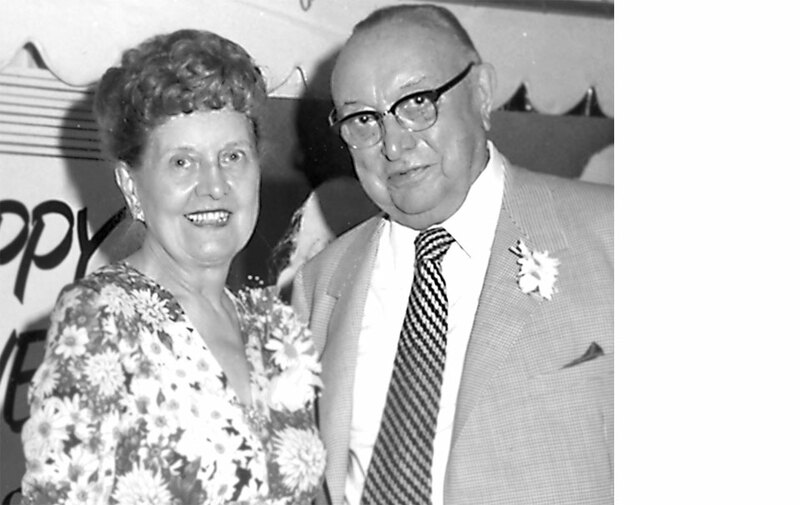 Our Founders Eva & Joseph Bruening were successful Clevelanders who cared deeply about the success of their city. Joseph M. Bruening was a classic American success story. He was born in Cincinnati, Ohio in 1896. His father died when he was two years old and his mother died a year later. An aunt and uncle raised him. In 1922, Mr. Bruening accepted a job in Cleveland as division manager of a small parts distribution company based in Detroit, named Detroit Ball Bearing. A year after his arrival here, his employer announced that he wanted to sell the Cleveland division to Mr. Bruening and the deal was finalized the very next day. Ever an optimist, Mr. Bruening believed that hard work and commitment to the highest quality of service would ultimately reap rewards. His new company Ohio Ball Bearing Company, which later was renamed Bearings Incorporated, experienced rapid growth, eventually becoming a publicly held, nationally prominent distributor of anti-friction bearings. Mr. Bruening retired as president of the company in 1980 and became its honorary chairman in 1983. Bearings Incorporated continues today under its new name, Applied Industrial Technologies. Mr. Bruening married Eva L. Black in 1924 and they were together for 63 years. They had no children. Both Joseph and Eva lived long lives. He died in October 1987 at age 91 and she died a month later. During his career, Mr. Bruening acquired significant personal wealth. He and Eva were committed to charitable, community and philanthropic endeavors throughout their long and productive lives. They strongly believed in the importance of education for youth, in providing comfort for the elderly and disabled, and in programs that provided hope for the poor. Their support for numerous Catholic, educational, health care and social service organizations during their lives reflected these beliefs. The Bruening Foundation, set up from the proceeds of their estates after their deaths in 1987, carries forward their vision of a better society.